A perfect compliment for you to "hump ALICE", the classic US Army LBV, the webbing that won the Cold War. Webbings of similar variations saw service all the way from the end of the Vietnam War, all the way until the early stages of the War on Terror. The webbing we sell will get you everything you need right away, so you don't have to go searching for odds and ends. Constructed from nylon in the US All-Purpose Lightweight Individual Carrying Equipment (ALICE) system, this extreme tough but remarkably lightweight webbing is constructed from older LC2 variation pistol belt. 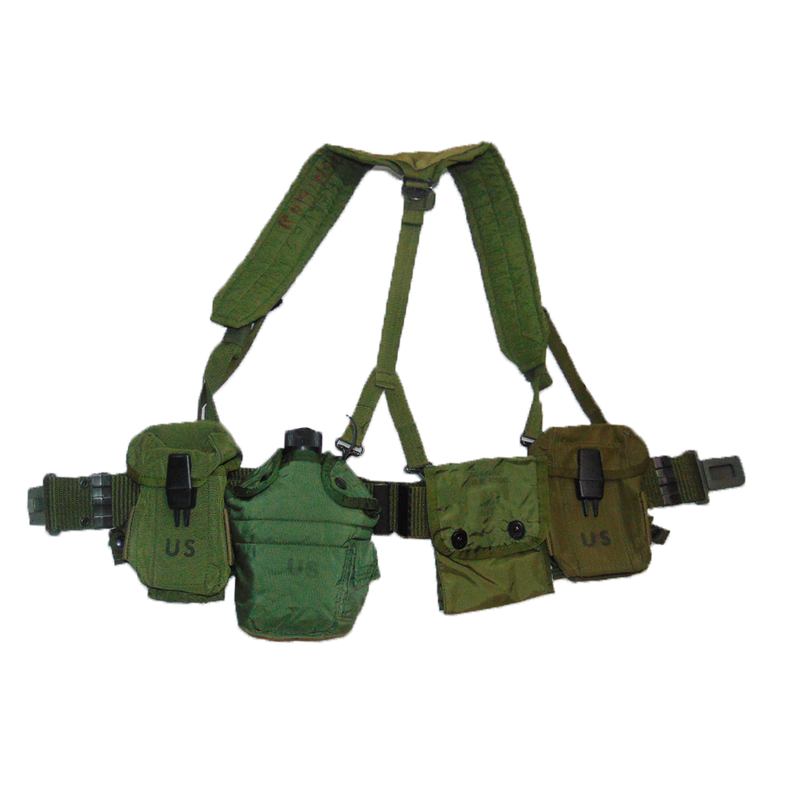 It features two double M16 magazine pouches, canteen pouch, and first aid pouch. 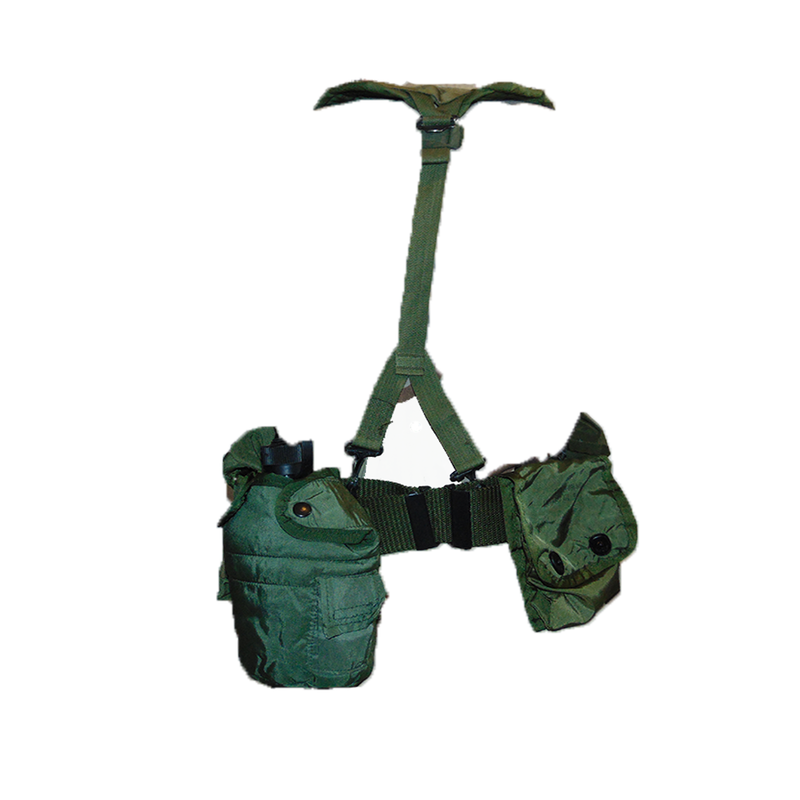 The whole thing is kept together and held up with padded LC1 yoke, making this a great utilitarian rig you can adapt to any use. We will assemble the LBV before we ship it out, to ensure that all of the ALICE clips are serviceable, and all components are present. 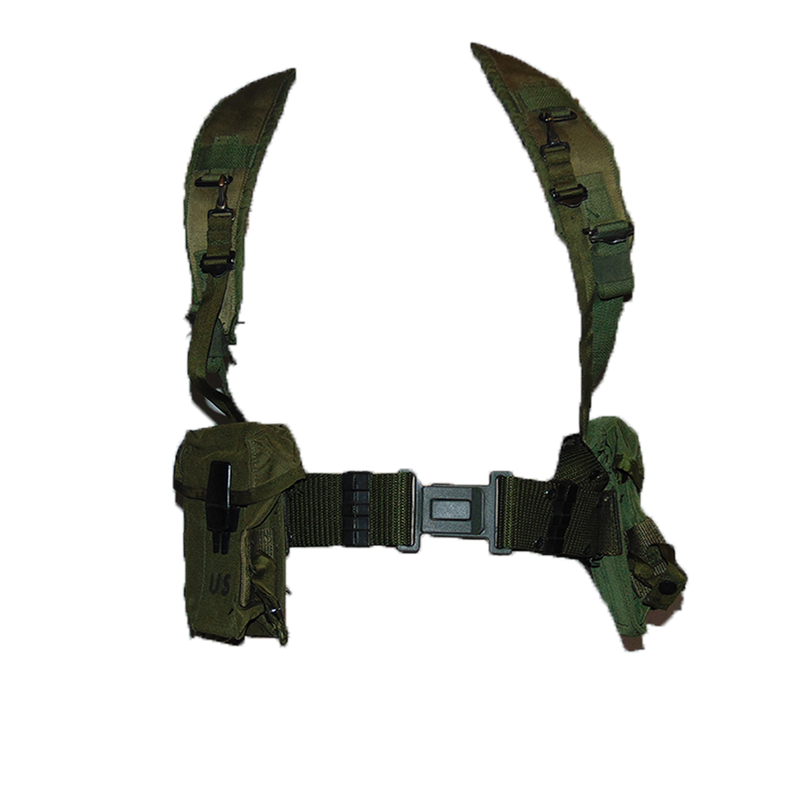 Once you get it, you can fully adjust it with any ALICE pouches, loadouts and strap sizes to best suit your needs. 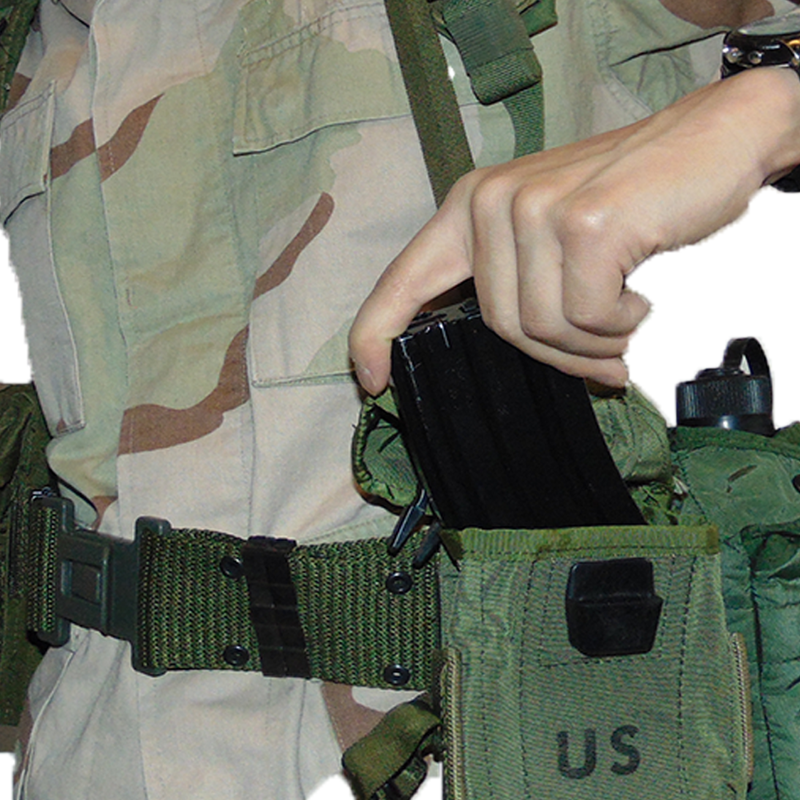 Trust it, whether you're a shooter or a survivalist, this is the best non-Molle rig you can own! One size fits all!